Our managed IT services take away the unpredictable burden of IT management and support to improve the performance of your systems. With our friendly and helpful people, proactive management and expert consultancy, you’ll have more time to focus on what really matters - your business. Affordable and proactive IT management and support services that meet the demands of your business. We’ll support you with IT, telephony and backup services from everyday maintenance to longer term strategic planning. 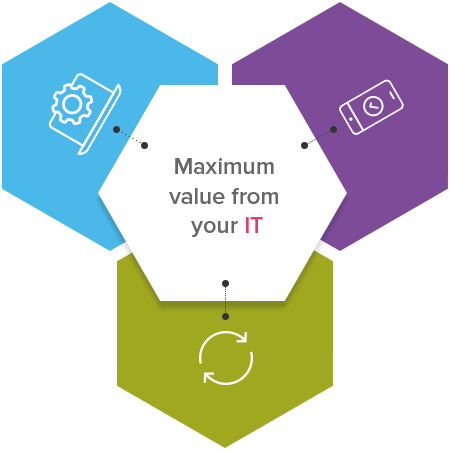 We make sure you’re getting maximum value from your IT. Keep your business going even when disaster strikes. 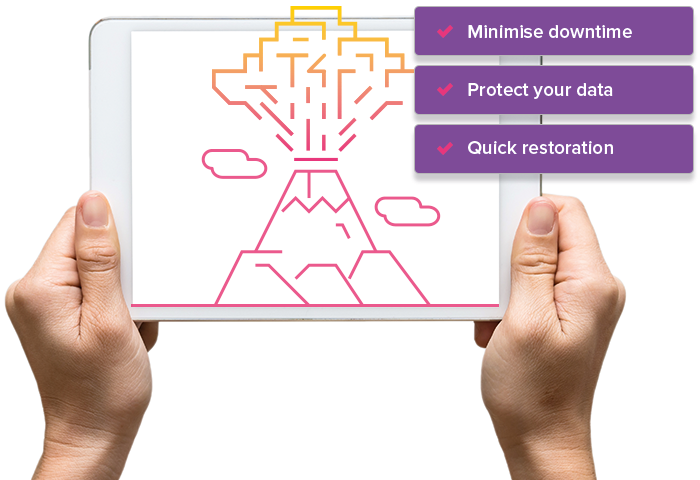 We’ll minimise downtime, protect your data and get you back up and running quickly after an unforeseeable event. We can even provide an emergency office if you need it. A multi-layered managed IT security service to protect your business from cyber attacks. 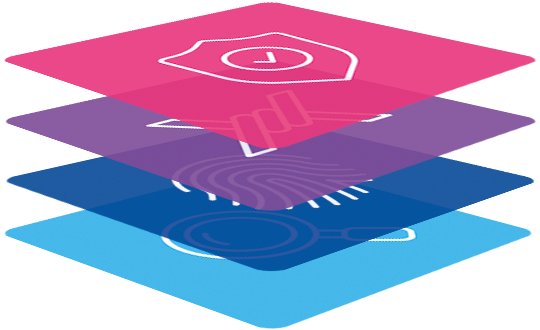 From firewall protection to penetration testing, we’ll reduce the risk of unauthorised access to your data and systems and the devastating consequences. Professional managed communication services that increases performance. Our managed communication services include managed telephony, VoIP and call recording services. 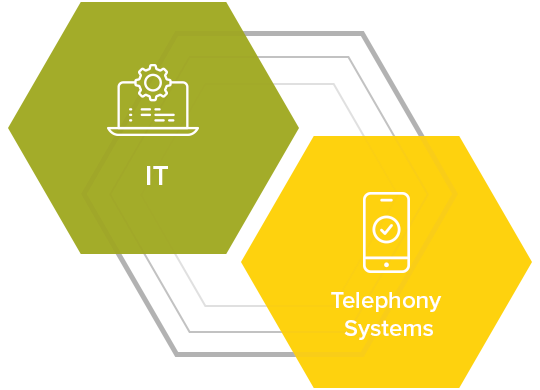 We’ll work across both your IT and telephony systems to create joined-up strategies that improve collaboration and customer service. Strategic planning services and project implementations. 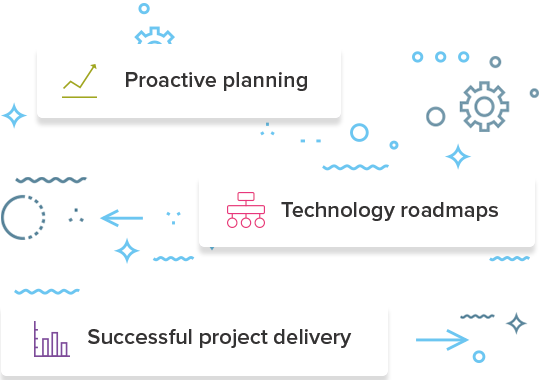 Our knowledge and experience means we can enhance your IT with proactive planning, technology roadmaps and successful project delivery. Flexible, scalable and affordable managed cloud services. We’ll select the right cloud services for your business - whether that’s private or hybrid cloud solutions - to help you grow your business, not your IT burden.